Welcome to the happiest place on earth! 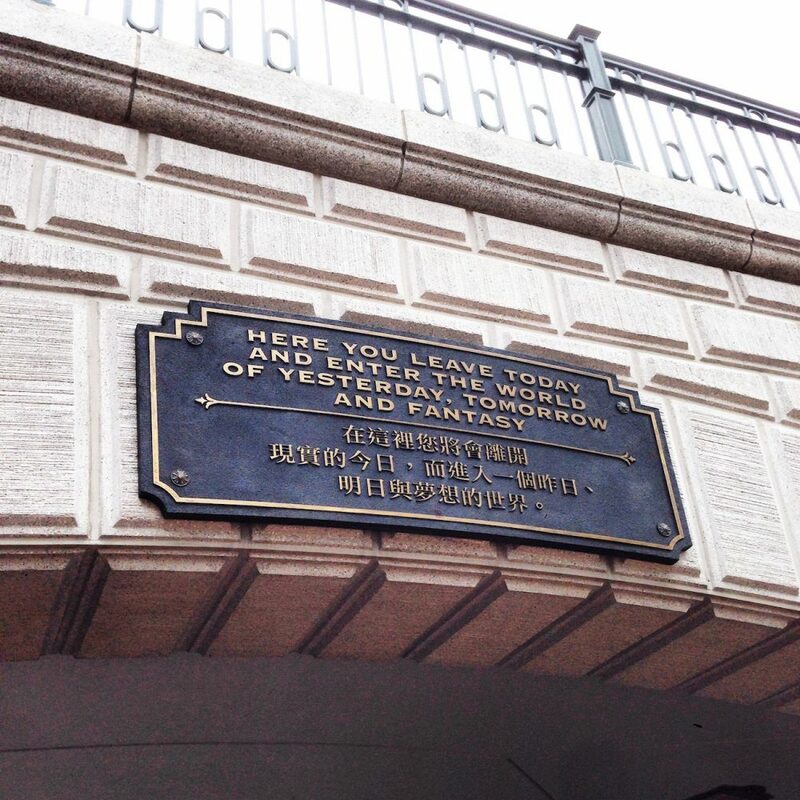 The place where theme park, Disney, and your childhood dreams meet. This park opened to the public back on 12 September 2005. 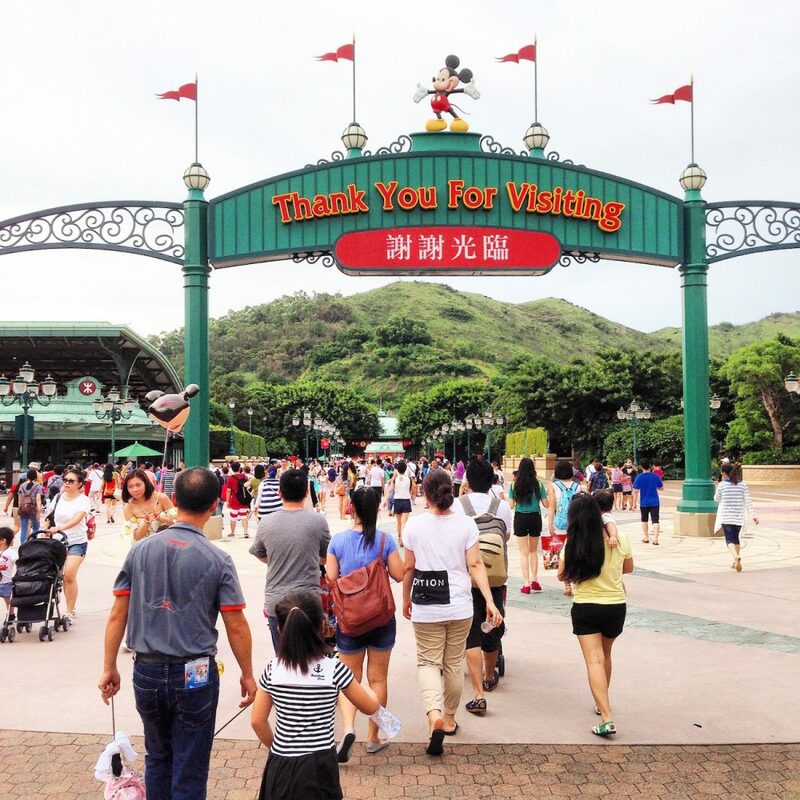 Hong Kong Disneyland was the Walt Disney Company’s 11th theme park in the world. 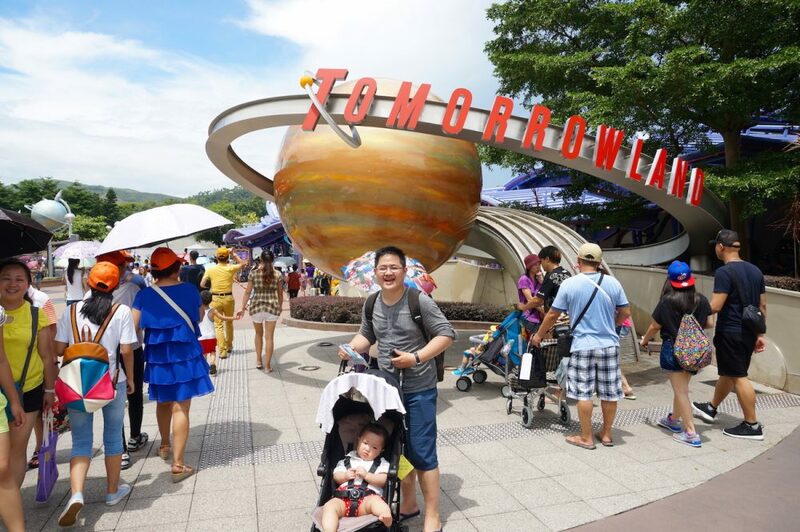 This park is surprisingly the smallest Disneyland in the world but trusts me it is more than enough. 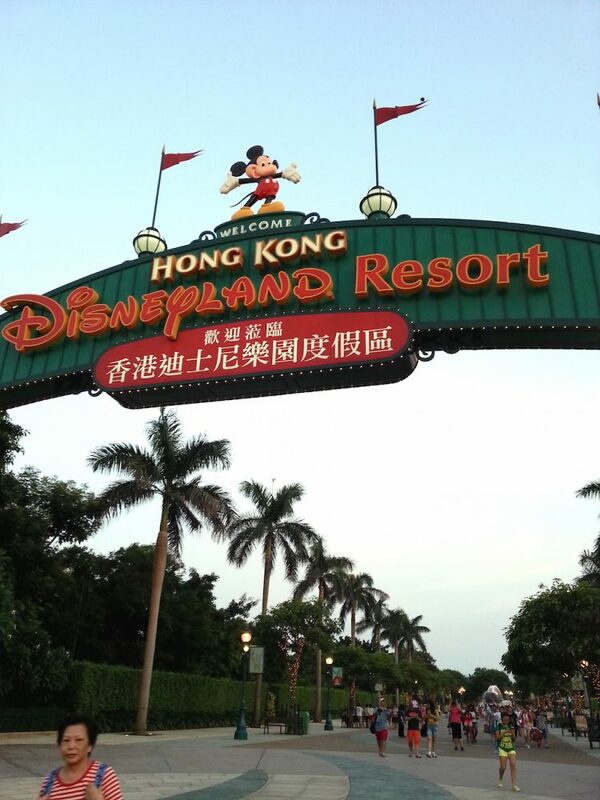 Going to Hong Kong Disneyland! 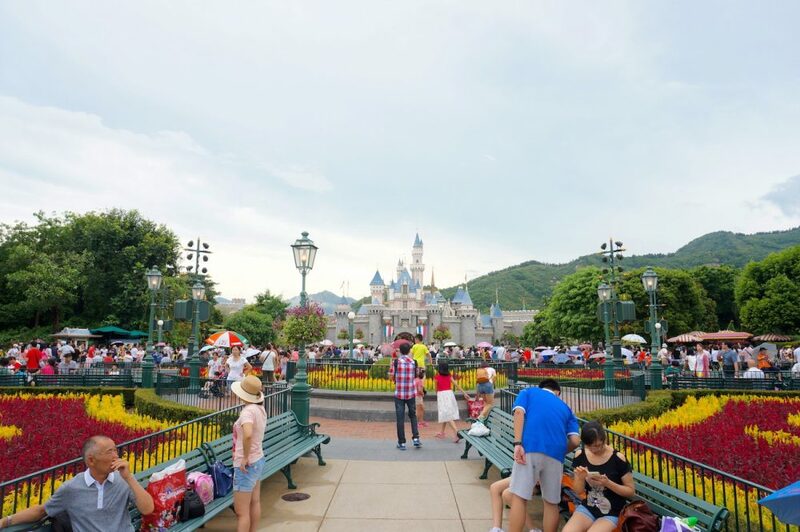 Hong Kong Disneyland is located on Lantau Island. It is a separate island from the main Hong Kong island but really accessible. Here is the link on how to get there by all form of transportation that you could think of. They even have their own MTR line, the Disneyland Resort Line. 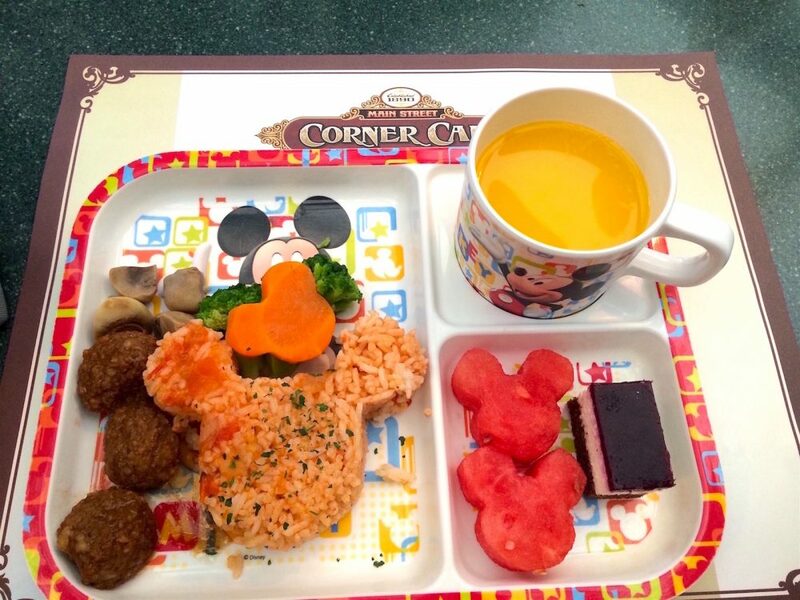 You go from Sunny Bay Station to Hong Kong Disneyland Resort. There are only 2 stops so you won’t be lost, trust me. 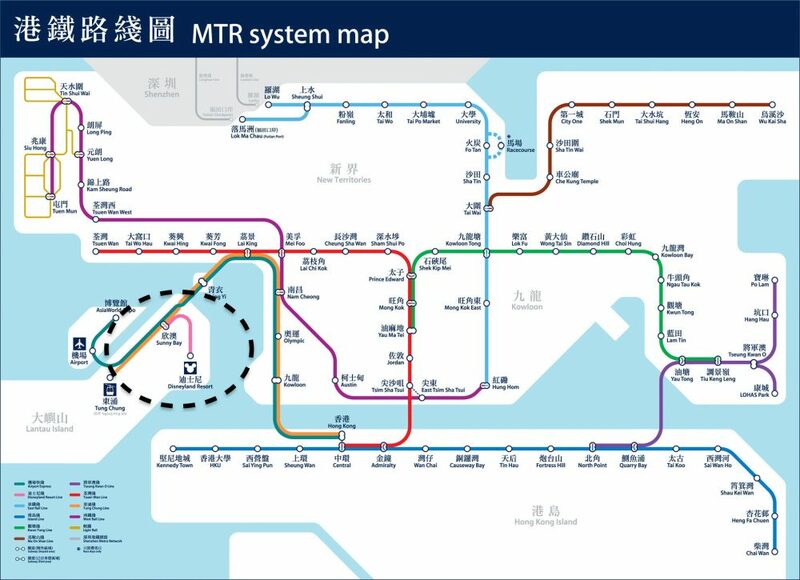 Hong Kong MTR system is fairly simple to use, so you would not have any problem coming here. Find the route that ends in Tung Chung. Stop at the second to last stop, the Sunny Bay Station, easy right ? If you are using rented car or a taxi, it is still really easy to find this place. Here they offer 2 main types of entrance ticket, 1-Day and 2-Days Ticket. I would say 1 day is enough for your to explore the park. Because like any others theme park, it will get super packed especially on the ticketing booth. So better if you buy your ticket beforehand. There are many places online which you can buy it from and one of them that we have personally use is klook. They do require you to put the date of the visit when buying. But you can use the ticket anytime within the validity state on the voucher. And it is usually valid 6 months from the purchase date. You just need to show your voucher at the Main Entrance to get inside the park. It’s really easy and fools prove! Best Time to Visit ? The last time I went there it was summer in Hong Kong and it was super hot. 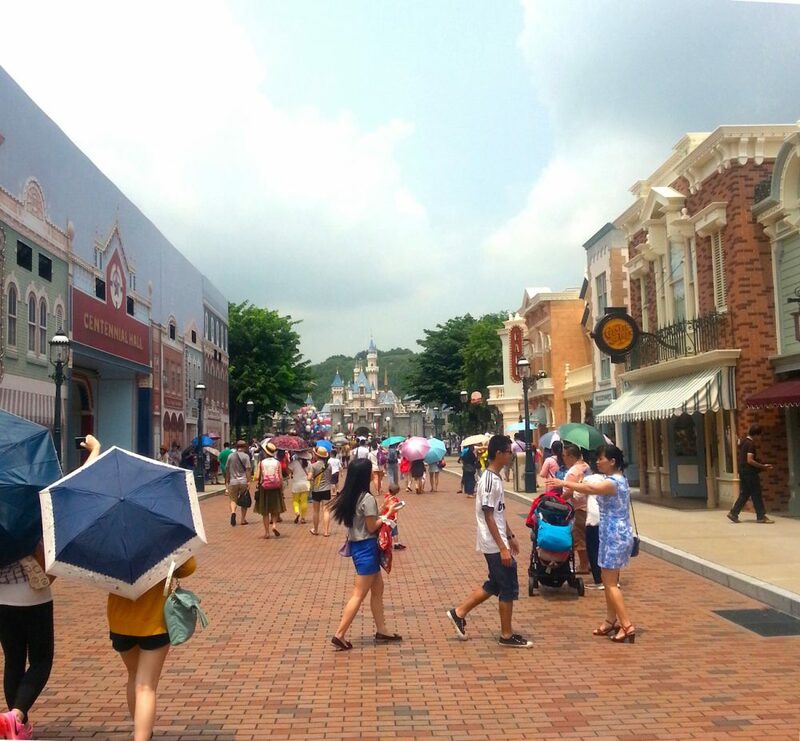 Going to a theme park in hot summer day could be exhausting. Imagine you need to line up, cramped with tons of people when it’s already super hot outside. So if you ask me the best time to go here I will probably say avoid the summer time. We do have our travel journal up for our experience last time, check it here. But to be fair, Disneyland is always going to have something for you in all the season. Because there will be something new they put up adjusting to a season. So it depends on your preferences if you can handle the heat in the summer or you like breeze type of weather better or you like to go when it less crowded and so on. Or you can check our post on how to survive Disneyland like a pro! Now, the park is located in a huge area hence, there will be a lot of walking involved. When you first come here either by taxi or shuttle bus from the Disneyland Resort hotel then you will be dropped off in the area called PTI (Public Transport Interchange) located beside the car park. Not far from this is the MTR station. This is where the welcome sign is. Then you gonna walk straight until you find Mickey’s fountain and the park entrance will be on the right side. The below picture is actually taken from the other side of the sign. You might be able to see on the left is the MTR station (see the MTR sign ?) and walk straight is the shuttle bus and car park area. The park layout is divided into 7 main area but minds you that they might add more section in the future. The Main Street USA, Adventureland, Grizzly Gulch, Mystic Point, Toy Story Land, FantasyLand, and Tomorrowland. 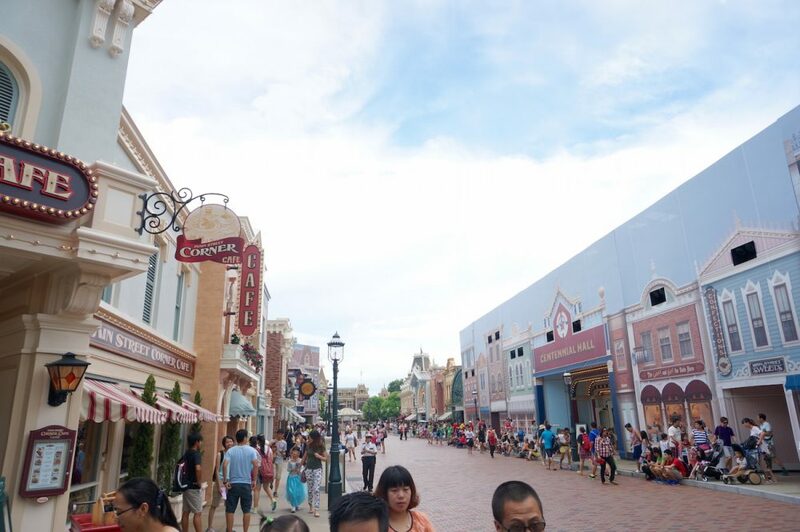 Main Street USA is the main shopping area which shops and restaurants located alongside the street. And at the end is the Sleeping Beauty Castle. The theme in the Adventureland is all about the jungle. So all the attraction and shows will be around Tarzan, Lion King, and any wildlife Disney. They also have a man-made river here with a small island in the middle where Tarzan’s tree house is located. 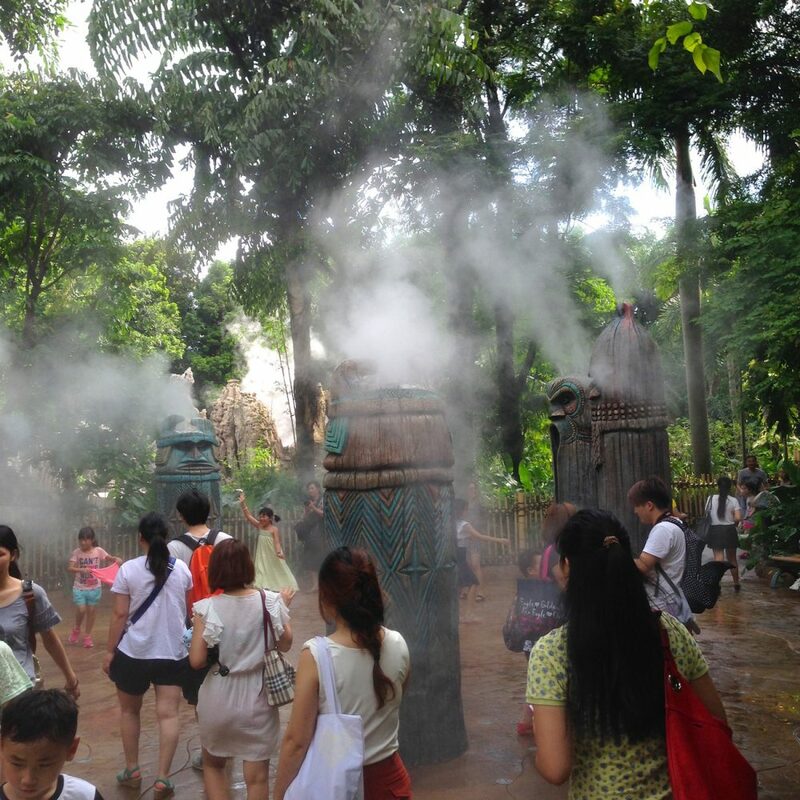 One of the ride here that you should try is the Jungle River Cruise. Imagine the safari tour where you will be cruising alongside the river to see all the “wild jungle life” or take a look round the inside of the tree house is also quite amusing. Grizzly Gulch is the area where they imitate the wild west era, with cowboys, sheriff, bandits, coal mine and stuff. 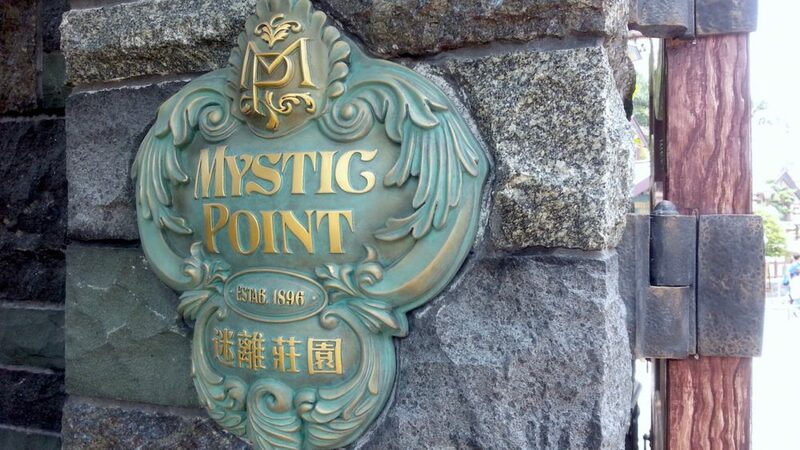 While the Mystic Point is Disney version of a haunted area. Their “haunted house” attraction will make you most likely laugh in excitement rather than cry in fear. 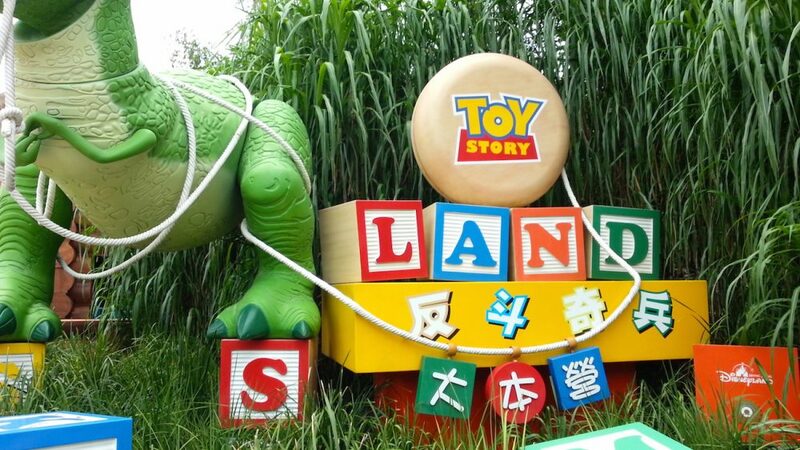 First of all, Toy Story Land is self-explanatory. Fantasyland is dedicated more towards the younger groups of age. “It’s a small world” ride is here where all the Disney’s princesses, cotton candy are here and everyone puke rainbows. Yes, the last part is a joke. But this area gets super lovely at night with all their fairy lights on and then is when you can puke rainbow. Sorry for the bad cropping, Rex! One of the rides in Tomorrowland where the adults might enjoy is the Space Mountain. It is an indoor roller coaster basically but what makes it really fun is you are riding in the dark. So you can’t really see the track and expect when will the ups and downs. In addition to the lighting and music which add more tension to the ride. There are a couple of restaurants inside the park. 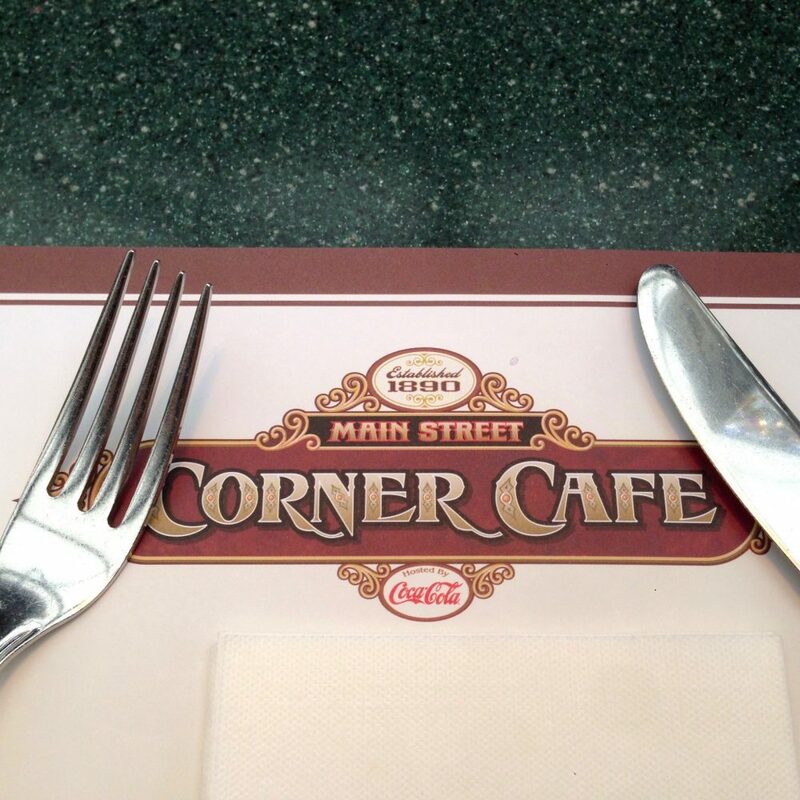 Last time we went to the Corner Cafe and it is located in Main Street USA. They serve western food and it cost roughly around HK$200 per person. It was not the cheapest option, to be honest. But I do find some deal below to save you some penny if you prefer eating inside the park. There is another option to eat outside the park but it is probably not for everybody. Because if you come here with one intention to experience the park to the fullest then you might not want to waste any time. But you just come here to enjoy the park in a leisure mode then eating out might be an option for you. Or if you want to save some dollars then check out our tips in the Disneyland Survival Post. Hands down the Parade and the Fireworks show. When the last time I went here they only have one Parade which is the “Flight of Fantasy” but it seems they have a new parade “Disney Paint the Night”. All of the parade and the fireworks will take place in the Main Street USA. 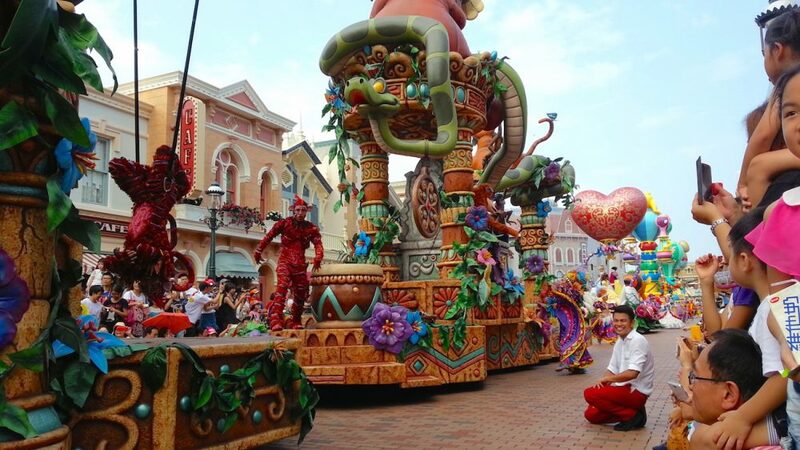 The “Flight of Fantasy” is being held daily on 3:30pm. All the characters will go starting from the Sleeping Beauty Castle down the Main Street USA and then return back. So you will be standing alongside the street, be there at least 15mins before the parade start if you want to have a good view. The “Disney in The Stars” Fireworks starts at 9pm daily with the Sleeping Beauty Castle as a center point, you will be standing in the Main Street USA once again. For this one, you don’t actually have to be there 15 mins before. Because this is fireworks shows, you will be able to see it from everywhere you stand. This show also is the closing ceremony which pretty much sums up your visit to the magical land. 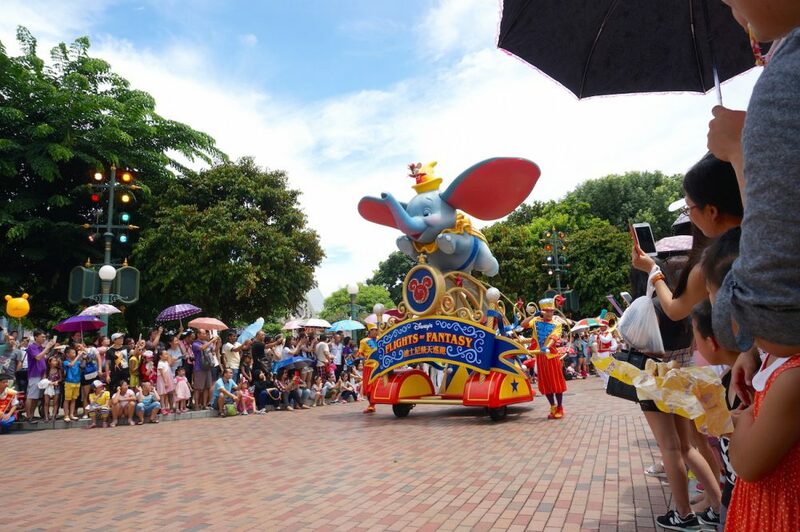 Have you been to Hongkong Disneyland ? Do you think it is worth the hype ? Is it as magical as what you have in mind ? 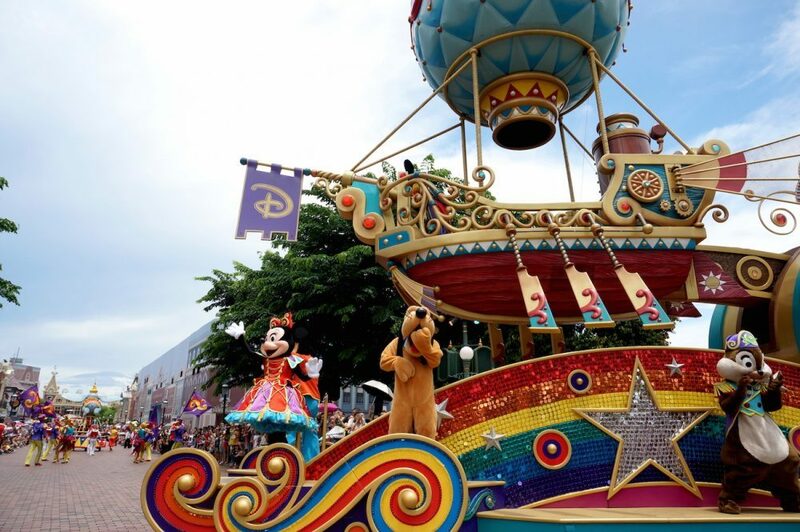 Get your ticket to Hong Kong Disneyland with discount. Also looking for the best deal to stay in Hong Kong? Compare prices and get the best price for flights to Hong Kong. For Indonesians, find the lowest price for plane tickets.